The 1974 New York Nets squad embodied what the ABA was all about. The league's premiere player Dr. J, center Billy Paultz and rookies Larry Kenon and John Williamson put on dazzling shows in arenas around the country. But more than showmanship, the team was a winner. After finishing 55-29 during the regular season, they breezed to capture their first ABA tile by steamrolling the Utah Stars in five games. 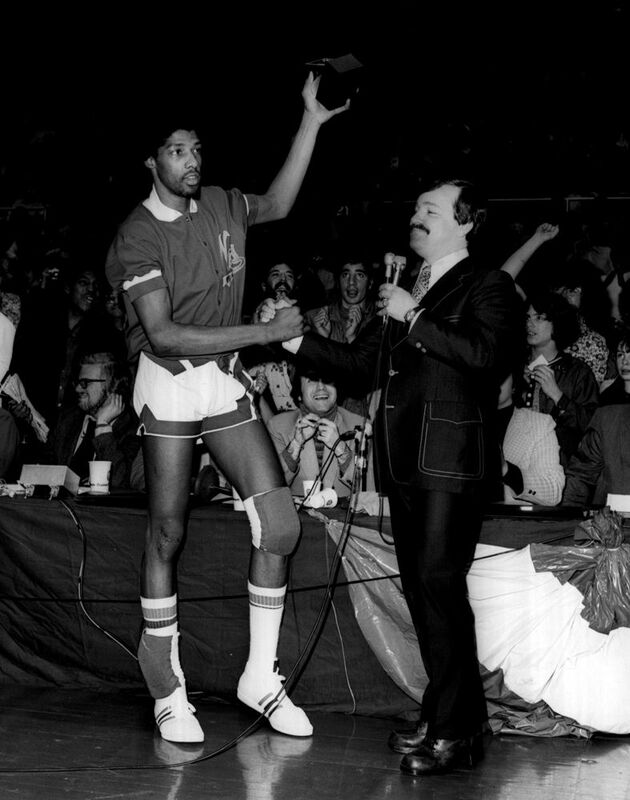 Dr. J culminated a dream season in which he garnered his second straight scoring title, League MVP and ABA Finals MVP honors with his first championship as a professional. In terms of ABA mementos, no object surpasses the historical significance of the offered ring. 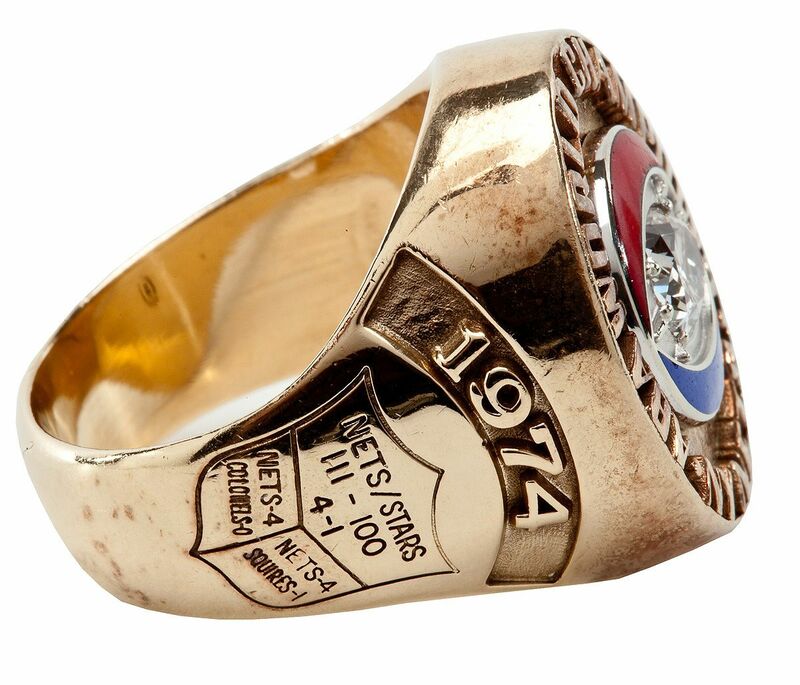 This ultimate prize, received by Julius Erving in honor of the New Jersey Nets' 1974 championship, was crafted by Jostens in 10K gold. It’s design elements include the most enduring symbol of the American Basketball Association's nine-season existence, apart from Erving himself: the red-white-and-blue ball. 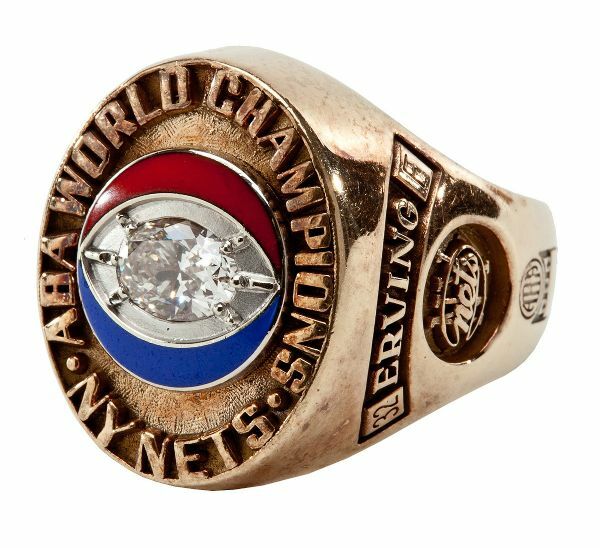 A sizable oval shaped diamond sits at the center of the enamel decorated ball with a circular perimeter that reads, "ABA WORLD CHAMPIONS - NY NETS." 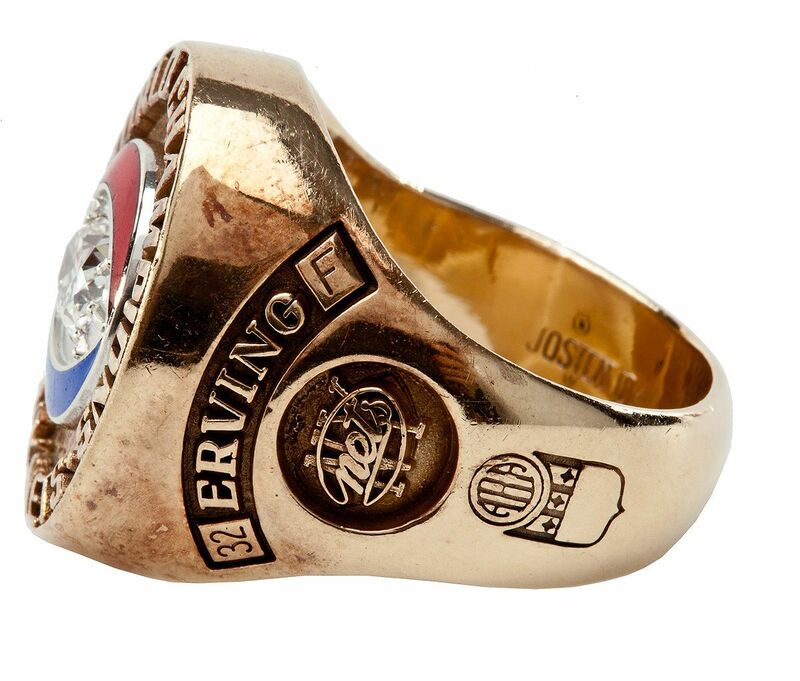 On one shank, the size 12 ring features ABA and Nets logos, along with the name "ERVING." The opposing side displays the year "1974" and a shield motif with etched characters detailing the team's postseason triumphs. Inside the band is stamped "Jostens 10K,". The subject importance and design quality of this ring were such that Josten’s utilized it as a basis for producing salesman samples, which are seen in the marketplace periodically. Presented here is the one and only genuine article. 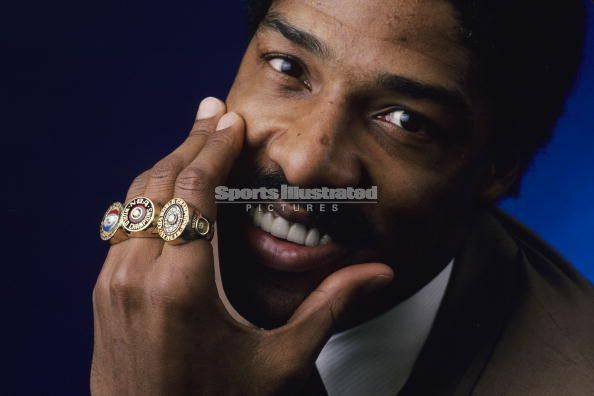 Julius Erving’s actual New Jersey Nets' 1974 championship ring shows evidence of modest wear, which only adds to it’s immeasurable allure. This is a basketball treasure of the highest order, the caliber of which collectors are rarely given to opportunity own.